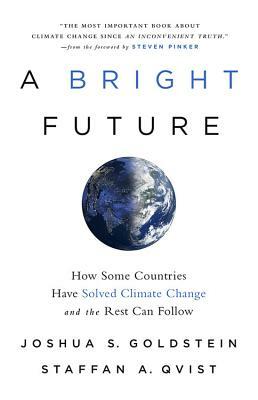 In this clear-sighted and compelling book, Joshua Goldstein and Staffan Qvist explain how clean energy quickly replaced fossil fuels in such places as Sweden, France, South Korea, and Ontario. Their people enjoyed prosperity and growing energy use in harmony with the natural environment. They didn't do this through personal sacrifice, nor through 100 percent renewables, but by using them in combination with an energy source the Swedes call kärnkraft, hundreds of times safer and cleaner than coal. Joshua S. Goldstein is an International Relations professor who writes about the big issues facing humanity. He is the author of six books about war, peace, diplomacy, and economic history, and a bestselling college textbook, International Relations. Among other awards, his book War and Gender (2001) won the International Studies Association's "Book of the Decade Award" in 2010. Goldstein has a B.A. from Stanford and a Ph.D. from M.I.T. He is professor emeritus at American University in Washington, DC, and research scholar at the University of Massachusetts, Amherst, where he lives. See www.joshuagoldstein.com. Staffan A. Qvist is a Swedish engineer, scientist and consultant to clean energy projects around the world. He has lectured and authored numerous studies in the scientific literature on various topics relating to energy technology and policy, nuclear reactor design and safety, and climate change mitigation strategies - research that has been covered by Scientific American and many other media outlets. Trained as a nuclear engineer (Ph.D., University of California, Berkeley), he is now involved in renewable energy development projects and also works with several "fourth generation" nuclear start-ups. For more information, see www.staffanqvist.com. "A rational if somewhat unlikely strategy to reverse global warming using current technology and without self-denial... The authors argue for nuclear power, and the facts are certainly on their side....A reasonable argument directed at a lay audience."